This is a privately held Curaçao based Technology and Industrial Investment Group with main offices in Singapore, Hongkong and Vancouver. production plants in Russia, China, Thailand, Vietnam, Ukraine, Sri Lanka, France and South Africa. TRIG Marine Ltd. a Bermuda based shipping company. TRIG Aviation Ltd., is a Bermuda based company dealing with leasing and operation aircraft. TRIG Airport and FBO Management Ltd., is a Bahamas based airports management company with facilities throughout South America and the Caribbean. Select Marine and Aviation Insurance (Bermudas) Ltd. A Bermuda based captive Insurance company for our Aviation and Marine Interests. TRIG Dredging and Heavy Lift Ltd., is also Bermudas based, dealing with various aspects of river and port dredging, as well as port construction and heavy lift operations. TRIG Cheng Huen Heavy Engineering Ltd a company manufacturing and building water and waster water treatment plants, irrigation systems. coal dewatering plants and ancillary equipment in Harbin, PRC. TRIG Cheng Huen Taxi and Transport (Holding) Ltd Beijing PRC, which operates Taxi fleets and Courier Services throughout China and Inner Mongolia. Frangipani Farm Enterprises, Meat and Milk Processing Ltd. Colombo Sri Lanka. The company operates a large cattle ranch and dairy farm in the highlands of Sri Lanka. It also produces butter, cheeses, meat (pork, beef, chicken), charcuterie, milk, yogurt and other milk products. These are mainly for the hotel, resorts and the tourist industry on the island and in the Maldives. Beef products are also exported to the Gulf and Saudi Arabia. 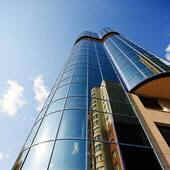 TRIG Property Investments Ltd. This Cayman Island company administers minority stakes in commercial real estate throughout Asia, Australia, New Zealand and Canada. In addition, TRIG Property Investments Ltd., also owns outright, extensive property in Bangkok, Singapore, Tokyo, Manila, Beijing, Australia and France. Some of these properties are for the use of the company and its subsidiaries, whereas others are leased on long term leases to major clients. New investments are generally made for energy efficient buildings. The company also holds minority stakes in other projects it deems appropriate,these are located throughout Asia, Australia, Europe and Canada. TRIG Dredging and Heavy Lift Ltd. Specialization in shipping is the key to success.There is a constant increase in the demand for heavy lift shipping units, cranes and dredging ships that are able to widen and deepen shipping canals and waterways. All our units are chartered by major specialists operators in this field. Especially smaller ports, often do not have the lifting capacity needed for heavy items of equipment that arrives from abroad. The on-shore crane capacity is not sufficient for the heavy loads to be discharged. This is where our two Chinese built, self propelled cranes of 1,000 ton lifting capacity become useful tools. They are now booked solidly until 2015 and our charterers have indicated they would be willing to add further capacities. This is one of three Trailer Suction Hopper Dredgers of 45,000 DWT and 206 meters length we operate for port and shipping canal dredging. All ships are solidly booked and go from one long term project to another. If you would like to know more about the company and its activities, please send us an e-mail. 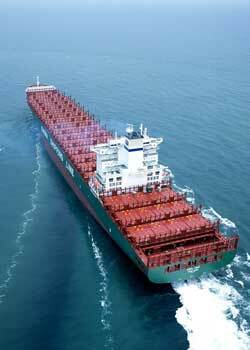 Our Bermuda based shipping company currently operates 31 large container ships, 16 tankers and 19 bulk carriers. While we manage these ships, they are all under charters to other lines. We constantly strive to renew our fleet and to keep it competitive. 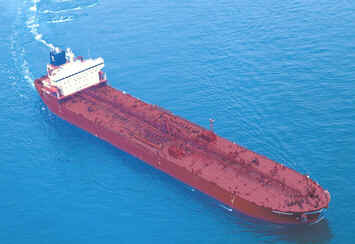 Even though, current economic conditions are difficult, we have ordered new ships to add to the fleet. Although, shipping is currently a difficult sector, we have been doing acceptably well in this market. The new ships are larger than anything in our current fleet. An additional six of these 12,000 TEU post-panamax container ships have been ordered in Korea for deliveries in 2016 and 2020. Four more will follow in 2017 and 2018. Each of these ships will have an overall length of 352 meters, a breath of 45 meters and a depth of 28 meters. Each will be fitted with a 12-cylinder 92,000 horsepower engine to enable a service speed of 21 knots. and are equipped with the most modern safety and navigation equipment. All ships are already reserved for long term charter with a major line. The aviation division currently owns 96 passenger and freight aircraft (Airbus, Boeing, Embraer and Canadair) with an average age of 5.5 years, chartered to a variety of airlines in Asia and Europe. The latest deliveries to our leasing fleet are A330-300, and nine Boeing 777, for clients in Asia and the Pacific. We expect eleven more deliveries, of various types, to our clients this year. Despite a difficult time for the aviation industry, we continue to do well against the world market in this sector. We continue to maintain a good mix of larger and smaller aircraft in our leasing fleet, so that we can offer clients the right type for the right routes and destinations. In order to cater for the cargo customers, we have acquired nine Boeing 747-400 freighters that have the range and volume which our customers want. and 57 helicopters. The company also operates a small fleet of Robinson R44/R66 helicopters and business jets, available for charters from bases in Spain and Portugal. Being part of our Brazilian operations, the company is not part of TRIG Aviation Ltd. Though, it works closely with our other aviation interests. This specifically applies to fleet planning and maintenance operations. The fleet of 64 Canadair Challengers and eighteen Embraer Legacy 450, 600 and 650 are mainly used for long distance intercontinental charters, while the helicopters are used as urban transport and air taxies in Sao Paulo and Rio de Janeiro, Brazil. We have now also bases in Spain, Portugal and St Marten. TRIG Airport and FBO Management Ltd. The Airports and FBO Management Group is based in the Bahamas and currently operates 31 medium and smaller sized airports throughout Brazil, Argentina, Peru, Chile, and the Caribbean. We are in the process of further expanding this group by adding new facilities in other parts of the world. "Airport Management" in the subject line. Copyright ©unigroup (holdings) Ltd- All Rights Reserved.